Bluegrass legend Dr. Ralph Stanley, who passed away on June 23rd, was laid to rest Tuesday evening (6-28) after a public service that included words and performances from Vince Gill, Patty Loveless, Jim Lauderdale, Ricky Skaggs, and other close friends and well-known performers in front of the crowd assembled at the Hills of Home Park in Coeburn, VA where Ralph Stanley’s annual music festival has been held since 1970. Stanley’s immediate family flanked the stage, with Stanley’s coffin draped with an American flag as the centerpiece. Ricky Skaggs, who played in Ralph Stanley’s Clinch Mountain Boys with fellow Kentuckian Keith Whitley as teenagers, sang and said some words for Stanley as well. After Skaggs sang a hymn, Patty Loveless and Vince Gill joined him on stage. Ralph Stanley passed away due to complications with skin Cancer. He was 89-years-old. The downside to the broadcast was the station choosing to capitalize on such a sad event to run a massive amount of commercials. Totally tacky and disgusting. My guess is the way their live stream gets funded is by showing commercials every 15 minutes no matter if it’s a high school football game, the local parade, or in this case, a funeral. I totally agree it’s tacky, but it probably was automated and part of the system instead of a purposeful attempt to exploit the funeral. At least I hope so. In the comments section on the actual webpage where the broadcast was shown (for the station), there was a comment from someone from the station mentioning that there was a computer error early on that was rectified by the end of the service. For the record, on the webpage, WYMT Admin said, “My sincerest apologies. We had some technical difficulties. Our automation system overrode our manual operation and broke in with commercials during our regular breaks that occur during the 6 p.m. half-hour. We have corrected the problem. We are not selling any commercial inventory during the funeral. We offered to carry the funeral as a tribute to Dr. Ralph Stanley and as a service to his fans. We are providing a clean, uninterrupted copy to his family as well. Again my sincerest apologies. We certainly meant no disrespect. Please feel free to call if you have any questions. My number is 606-344-4848. Hey, good on you guys for streaming this. Thank you. No complaints here cos your intent was expemplary. Well it’s good to know it wasn’t a planned thing. Come on Trigger, I been waiting on that in-depth article you been promising to write someday about the unique and deep well of talent that comes out of Appalachia. 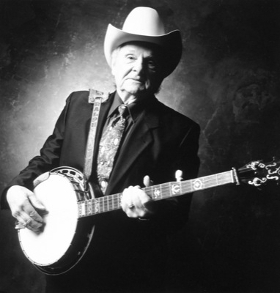 Losing Dr. Ralph Stanley (we call him Doctor Ralph around here) was so sad because he was a living audio window into the past that our parents and grandparents knew. You can hear the hills and hollers in his voice, and its there in Loretta Lynn’s voice and Ricky Skaggs and Gary Stewart and Sturgill Simpson….and Chris Stapleton and….come on Trigg….write it son. Well I guess I apologize for my dereliction of duty. There’s a lot of articles I would love to write. But unfortunately, 80 hours a week is all I have to give, and it still doesn’t seem to be enough. And the fact that folks keep dying has taken up a tremendous amount of time and resources from other articles, but I feel like it is an obligation to honor these people first. Just some wishful thinking on my part. You do a great job with your website. I suppose I should use “lol” more often. Sounds like you do need a vacation though. At leat they got three country artists who have a deep connection to this music and knew and worked with Ralph Stanely rather then somebody who you know is only paying lip service to his legacy. The family personally asked Vince Gill to be there, and he said he felt honored just for the invitation. I guess I missed Jim Lauderdale. When I tuned in, there was a man singing what sounded like an ancient hymn. After that, it was bluegrass legend Larry Sparks with two members introduced as part of the Marshall Family, I think. Then Ricky, and then Vince, Patty and Ricky. I think Larry Sparks’ best known song is John Deere Tractor. I saw him once in the early aughts at The Old Schoolhouse in Lucketts, VA. The first time I ever heard of Jim Lauderdale was hearing him sing a duet with Ralph on Ralph’s Clinch Mountain Country album in 1998. Thought he might be a mainstream country singer I hadn’t heard of before. I guess I wasn’t terribly up on the goings on of mainstream country back then. I got to see Ralph live a couple of times. Once with his Clinch Mountain Boys at the Barns of Wolf Trap in NoVA and another as part of the Down from the Mountain tour that stopped at DAR Constitution Hall in DC. Treasured memories. Thank you for the info and providing the link to the live feed. After checking my album collection, I think the woman singing with Larry Sparks was Judy Marshall. She and David Marshall (the other singer with Larry Sparks?) sing with Ralph on one song from Clinch Mountain Country (When I Wake Up to Sleep No More) and Judy sings on several songs from Ralph’s Saturday Night & Sunday Morning album from 1992. Jim Lauderdale spoke right before the preacher. I missed the earlier portion of the ceremony itself, and most of the Larry Sparks performance. A massive thunderstorm rolled through right as this was being broadcast, and kept knocking out my redneck internet here in the sticks. Judy and Dave Marshall are members of the larger Marshall Family, a bluegrass gospel group that frequented the festival circuit in the 1970s and ’80s. Some members of the Marshall Family appeared on Ralph’s “Snow Covered Mound” album and, possibly, “Down Where the River Bends.” They also released several bluegrass gospel albums. Judy Marshall is responsible for writing the gospel song “I Just Want to Thank You, Lord” that was recorded by Larry Sparks. They’re the real deal when it comes to bluegrass gospel. The man singing the a cappella gospel song prior to Sparks’ performance is John Rigsby, longtime member of the Ralph’s band, the Clinch Mountain Boys. Several former bandmembers were in attendance but did not perform, inlcuding Ernie Thacker, Melvin Goins, Junior Blankenship, Steve Sparkman, Sammy Adkins and Dave Evans as well as the widow of Ralph’s right-hand mand and lead guitarist, James Alan Shelton. Those are the folks I saw and had a chance to visiting with in many cases. Those representing the Nashville bluegrass community included the Whites, Jerry Douglas, Barbara Lamb, Mike Bub, Barry Bales (from Union Station), Ronnie McCoury, Scott Simontacchi, Bil VornDick (engineer and producer of several Stanley albums including “Clinch Mountain Country”), Norma Morris (Stanley’s longtime publicist) and yours truly. Thank you for the detailed information, Anna.